We often say that private enterprises are much more efficient than the Government. One quotes how much better a Reliance or a Tata is at doing things than the pachyderm of an organisation that is collectively called the "Government" or "the Public Sector". Intuitively the reason seems simple, the private sector has that most inspiring of all factors - the Profit motive. Private industry is incentivized to perform better since its rewards are usually directly linked to the output. On the other hand, what does a Govt. employee get for going that extra mile? Nuthing! Conversely, there is usually no penalty for putting his feet up and taking it easy. However, things are not as simple as the carrot-and-stick. A public sector enterprise is a wholly democratic setup in most cases. It's intentions are to promote the public good through commerce, as the name implies. In fact, it is a means of dispensing social justice; it could be through employment generation or through economically priced products. This often means that such organisations are not the most efficient or the most agile. For example, the complexity of checks and balances necessitated by a lack of apportionable responsibility and a culture of non-incentivized work spawns the so-called red tape tangle which has tripped many a worthy project. Similarly, the Government and its attendant organisations like municipal bodies and PSUs often lack sufficient resources to adequately support major projects. This could be due to the inability to collect sufficient revenues through taxes, user charges etc for fear of public outrage or due to the fact that whatever funds are available are often diverted to projects which have more manifesto value than make economic sense or create tangible impact. In short, organisations of this genre are sure fire ways to haemorrhage scarce resources and to ensure vital projects are either non-starters or are delayed to the point that their viability is threatened. The sad proof of this phenomenon is visible all around us. 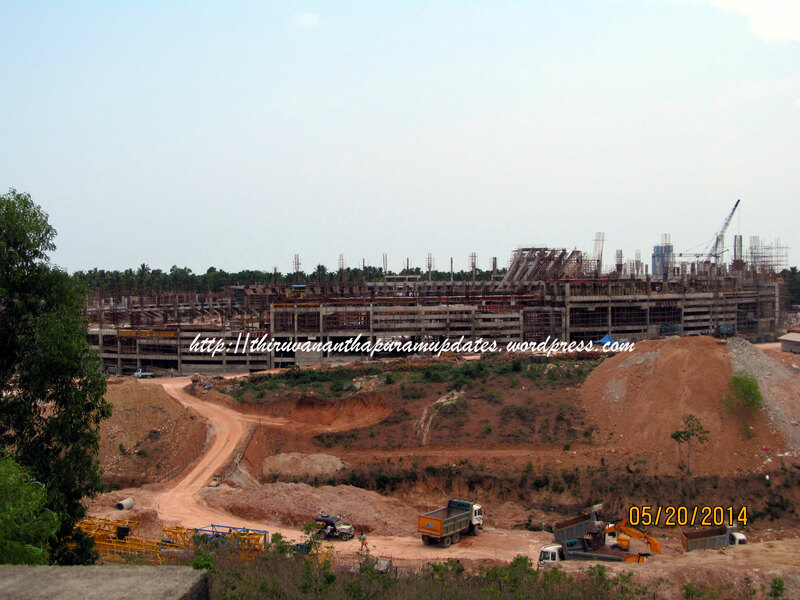 The Vizhinjam project, KSTP, innumerable sick and interred PSUs and what-not. Both these models combine the resources of the private sector, their operational efficiency and expertise with the accountability and social justice of the Government. Projects under these models maybe more slightly more expensive, all told, than those undertaken by the Government but the main benefit is that they get completed, mostly on time. The biggest examples for these models are the National Highway Development Programme and the development of the airports at the Metros. Government of Kerala has floated a spree of such ventures - Vizhinjam International Seaports Ltd. (VISL) , the much-heard about CIAL, the recent Infrastructure Kerala Ltd. and so on. Some of these have been successes; others not so. Let's say that the jury is still out. So what does all this mean for Trivandrum? After all VISL has been formed for Trivandrum's dream project - the super transshipment hub at Vizhinjam and the newly formed infrastructure company was mooted with the initial aim of setting up a high-tech corridor between Trivandrum and Kollam. The answer is.....not much, atleast for now. VISL has been named as the nodal agency for the re-tendering and execution of the $ 1 Billion mega-port, and it remains to be seen how much it can do. The latter company seems to have conveniently forgotten its initial aim and now seems to be keen on setting up IT parks and IT corridors anywhere else but in and around Trivandrum. In fact, a lot of these GoK set-ups seem to be have some sort of predilection to only focus on projects about 200 kms North of Trivandrum and there on. It is only the degree of Northwardness which seems to vary with which of our eternal political fronts is in power. Is there a solution to our city's woes? Yes, I believe there is one; a rather radical one but a solution which is possible. It works around the establishment of a Infrastructure Development Company for Trivandrum, let's call it IDC-T, for now. Let's lay out a few of its basic rules. The initial corpus will be around Rs 100 Crores. IDC-T will have atleast 51% public equity. This will also include public financial institutions. The remaining will be apportioned among GoK and donors. Donors - large corporate houses with operations in Trivandrum, wishing to contribute to the city's development but unwilling to get directly involved. An example could be a large IT firm with operations here. A portion of the equity, possibly either from the first 51% or even the latter 49% can be placed with private equity firms. The company will have a Board of Directors representing GoK, the financial institutions as well as competent directors - management professionals, CEOs, urban planners etc nominated to represent the public. The organisation itself will be lean with a professional CEO and a small core team of finance, legal, engineering and project management experts. Master planning and project managing the development of the IT Corridor and co-ordinating with all concerned GoK and GoI agencies as well as private developers and IT firms. Overall marketing of Trivandrum as an investment destination, including road shows across the world and periodic investor meets. Provide facilitation services for incoming investments. These are only the initial thoughts of a very concerned minds. Something like IDC-T seems to be the only way out of our predicament. When we know for sure that no one else is going to throw us a line and haul us out of the pit, it is prudent to look about and find a grappling hook and rope to haul ourselves out. IDC-T could be that very tool. If it had been already set up, the IT Corridor would perhaps been more than a concept now and we would have a host of urban infrastructure projects in place by now. It is only an idea now. I look forward to suggestions from all of you. Do drop them in as comments or feel free to mail me. After all, the only thing we have got to look out to is each other. Everybody else seems to be looking North, lol! The way the world runs has changed over the years. Gone are the days of Nehruvian socialism and the so called "USSR". In today's unipolar world, with diminishing boundries and barriers, there remains only one mantra, economic growth. It is assumed, wisely or other wise, any other development is only a corollory to economic development. Our past experience proves that goverment or "public sector" is incapable of squarely addressing economic growth. It is time that, we in India, especially in states like Kerala and West Bengal, allowed the private enterprise to spearhead the economic growth with out any strings attached. The concept of IDC-T is undoubtedly the best initiative that one could think of to take a hands on approach to Trivandrum development. It should be mentioned that the capital city has had Godfathers ( not to name any for obvious reasons) who are perhaps genuinely interested in raising the capital to a new high. But the fact remains that these people have never had the best of opportunities to educate themselves of achieving such a dream through modern re-engineering management concepts. This implies that it is more of a mindset issue than an implimentation issue. People who matter ( or atleast percieve to be so) need to be convinced. The best part is that in todays political environment wherein media has taken up a very aggressive ( often too much) approach, most of the local politicians-bureacrats in Trivandrum are trying to upgrade themselves to keep up with modern trends. But often, they get bogged down with smaller issues though they are capable of conceiving things in a larger perspective. So, it would be wonderful if you could have a couple of imaginative guys ( and I see a lot of them on the blogs) to take an initiative and throw upon the idea of IDC_T....who knows it may catch like wild fire among the decision makers intersted in seeing Trivandrum through and further up.